MORE than 10 years after the first financial institutions rolled out mobile banking apps for businesses, only 34% of respondents in The Asset's 2018 Treasury Review said they currently use such services in a business setting. The level of adoption was little changed from 2017 when just 33% of respondents said they were using mobile banking app. Since the launch of the survey in 2013, adoption rates have increased slowly. For Josephine, finance manager at a medium-sized retailer headquartered in Shanghai*, smartphones still take on very different meanings during working hours. But her ambition is to bridge this gap between end-user and commercial use of smartphones for banking services. She wants to go beyond occasionally checking her company's local banking account balances and checking notifications when deposits or transfers fall outside of expected ranges. She knows that among retail consumers, instructing a bank to debit an account instantly by scanning a QR code with a smartphone and even financing her new dream house through a mortgage arranged solely by her thumbs using that same app are already a reality for millions of smartphone users across the world. Indeed, research shows more than 50% of consumers in Asia transfer funds between accounts using only their banking apps. Signatureless, paperless and branchless banking through phones are challenging brick-and-mortar branches in nearly all markets. Some are set up by established financial institutions (such as DBS' Digibank in India and Indonesia), others are startups with a banking license. As the smartphone continues to make inroads into personal finance, the expectation gap as to what they can deliver for corporate finance executives will only widen. The 2018 Treasury Review finds that companies that are not using mobile business apps see digital treasury solutions generally as not suitable or applicable for company usage. In fact 47% of participants from India felt this way, indicating that a good portion of participants are not seeing the immediate benefits of such a solution. Typically, business users worry about cybersecurity and the safeguarding of sensitive information. In China, despite efforts in embracing mobile technology, there is still a sizeable (27%) portion of participants who have concerns about how financial institutions are digitally fortifying their client-facing platforms. This however, is not the case for Josephine. She has realized that, as a tool, the smartphone can solve fundamentally different problems in a business context as compared to her personal life. On the weekends, it replaces plastic (and cash) at the register, enables easy sharing of restaurant bills and personal loan applications. At work, she has long realized that businesses are secondary beneficiaries from handheld devices. In her home market, cheques have become nearly extinct with the arrival of NFC- enabled smartphone payment solutions. Her business has also teamed up with third party finance providers to offer consumers solutions to spread their cost. These and other options have shortened the cash conversion cycle substantially and have reduced the need for manual reconciliation processes. She is now applying this knowledge in India, where her company is trying to gain a foothold. Here, the percentage of finance executives who indicate that more than 50% of their corporate finance processes are digitized is the lowest of all major Asian markets. Fittingly, the percentage of corporate treasurers and CFOs in our survey using mobile business banking apps is also lowest. Yet, for Josephine the ecosystem as a whole appears ripe for businesses to indirectly benefit from mobile payment and banking solutions. She notes that some banks have begun integrating e-commerce payment solutions delivered through smartphone apps. "This is one thing we must watch closely because there is a millennial community across the world that tends to pay differently," she recently told her local finance controller. She has initiated talks with Paytm, the payment system and digital wallet company whose app ranks first in shopping related Android and iOS downloads. A direct link between the companies' ERP systems is in the cards, too. Her relationship manager also recently let her know that many of the benefits of DBS' Digibank are available for SMEs through Tally, which provides integrated ERP solutions to add value to everyday business operations. Bridging the expectation gap, in her mind, is about closing the circle. Great rewards for business await businesses when smartphone penetration increases among end users. 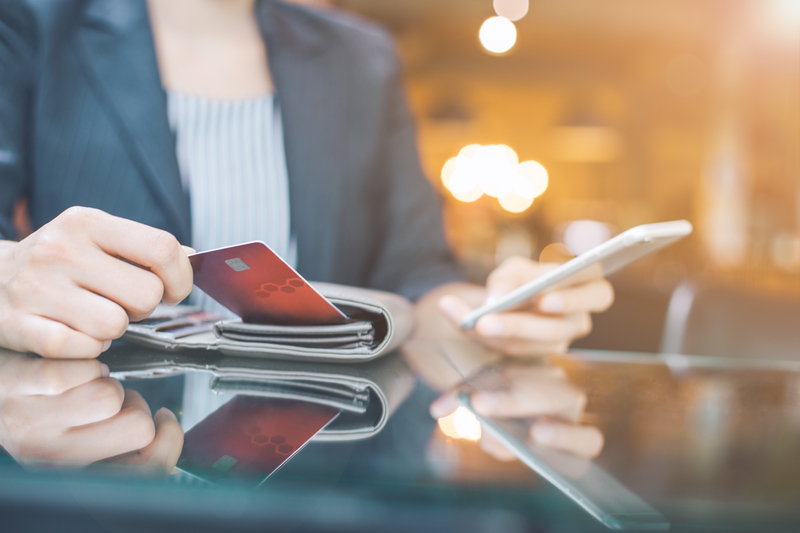 Coupled with the most important features relevant to businesses from mobile banking apps, the expectation gap between retail users and corporate users has finally bridged. Conducted since 2013, Asset Benchmark Research surveys corporates across Asia on an annual basis to understand the challenges corporate treasurers and CFOs face and the solutions they consider best suited to navigate financial markets. In 2018, a total of 1,141 corporate finance representatives participated in the survey, led by decision makers in Greater China, India and Singapore. Based on annual turnover, 50% of respondents are small and medium sized enterprises, 25% are mid-caps and 25% large corporations (>US$1bn turnover per annum). Nearly 70% of respondents are C-level executives (finance directors, CFOs or above) or have managerial roles in the finance and treasury departments, while the remaining work in positions such as staff accountants. *Names of characters are fictitious, their experiences are based on research findings. All quotes were provided by survey respondents.